Since its inception, Primerus has developed and maintained its excellent reputation because of one primary reason-it seeks out, accepts and retains only the best firms for membership. Clients coming to Primerus law firms for legal services know without a doubt they are getting one of the highest quality law firms available today. The Primerus Accreditation Board plays a critical role in the ongoing process of accepting new firms for membership, as well as evaluating all member firms annually for retention. What happens when a firm wants to join Primerus? Only law firms with the maximum AV-rating from Martindale-Hubbell (which represents about 5 percent of all law firms in the United States) are invited to consider membership in Primerus. First a law firm submits a basic application requesting to be considered for membership. 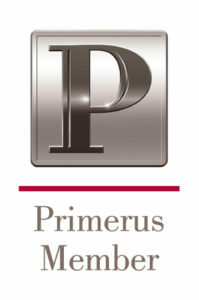 If the firm meets membership standards and there is an open license in its jurisdiction, Primerus then conducts a more extensive investigation of the firm, gathering information about the firm’s policies and practices relating to the Six Pillars, as well as references including clients, lawyers and judges. The firm also must sign a release of information request to be submitted to the firm’s malpractice insurance carrier. Once reference questionnaires have been returned to Primerus and the insurance company has completed the malpractice history, Primerus conducts an internal review and notes any concerns with the firm. Primerus sends a letter or email to all current member firms with the name of the applicant requesting information they may have about the prospective member. Primerus also investigates every lawyer within the applicant firm through the firm’s State Bar Association to determine if there have been any grievances filed or disciplinary actions rendered. At this point, the firm’s membership application is forwarded to me, as chairman of the Accreditation Board. Any decision about a firm’s membership falls to this independent Board, comprised of me, Fletcher Handley of the Handley Law Center, and Al Ferris of Dispute Resolution. If the investigation indicates an irregularity in the application, (e.g. claims experience, bar complaints, aberrant peer evaluations, licensing issues or member objections, just to name a few) the board makes an initial decision to obtain additional information either by interview, remand to Primerus with records requests, and in rare cases, a hearing. At a telephonic hearing en banc to the board, Primerus presents the vitae of the applicant, and an appropriate opposing party is able to present objections or reservations. Following the hearing, the board, as the final arbiter, makes a decision based on the record before it, which is then delivered to the Primerus organization. All proceedings from the hearing are kept confidential. Why does it work this way? The Accreditation Board is designed to be an independent body, in the same way the U.S. Supreme Court functions in the federal government. In Primerus, the Board of Directors functions as the legislative branch making policy, the management/staff serves as the executive branch carrying out the policy, and the Accreditation Board is the judicial branch. We function as an independent body with final authority on the application of the rules of admission of firms in Primerus and retention of membership. This removes any politics and personal preferences from the process of attracting and retaining members, resulting in a high quality standard that’s applied universally to all members. So You Have a Will: Is Your Estate Safe? Questions and answers about vehicle accidents.